Tibetan handmade Sterling Silver Ring Ivory Ganesh Ring. 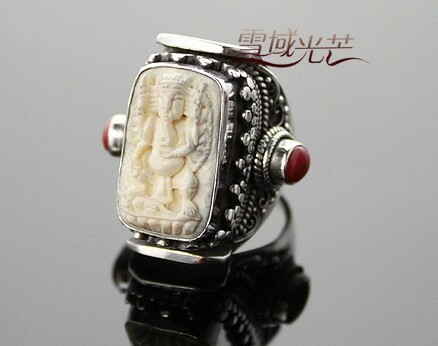 Tibetan Handmade silver Ring. 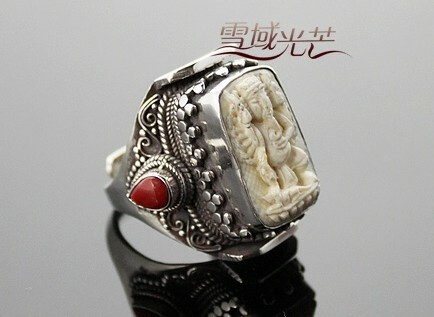 It was handmade by the Tibetan craftsman from 925 sterlig silver and ivory, coral. 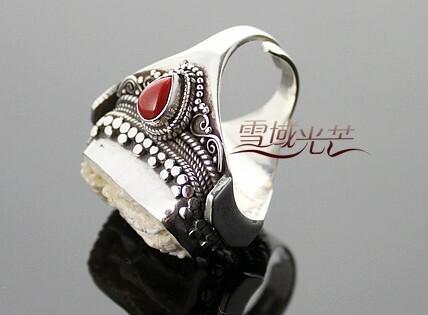 Weight: 38g. 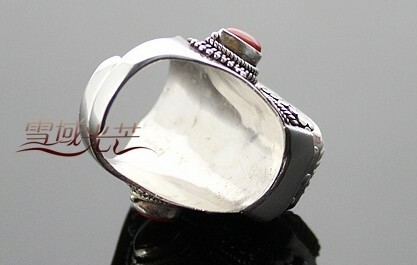 Ring size: 2.9cm*1.6cm*1.15cm. 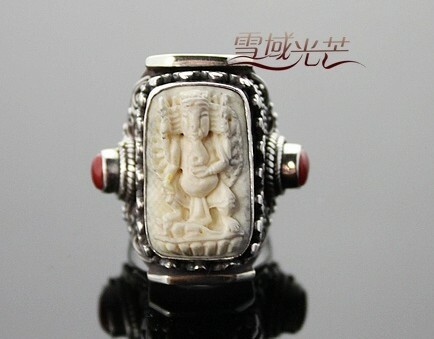 Ganesh size: 2.15cm*1.3cm. USA size: 9.5 adjustable.